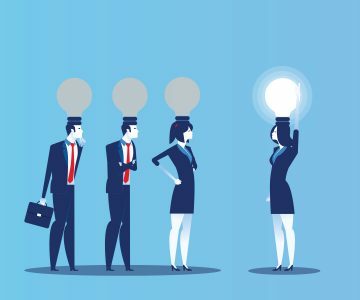 ﻿ Experience It inc.Required For Digital Transformations: Executives Who Empower Middle Managers - Experience It inc.
Digital transformations and creating new business models to take advantage of disruptive technologies has become a boardroom priority, according to the 2018 Conference Board C-Suite global survey. But as top executives seek productivity and customer experience improvements through digital transformations, many enterprises are hitting a wall. A 2016 McKinsey survey of 2,135 executives found that nearly half of digital initiatives (48%) generated returns below the cost of capital; nearly a quarter (23%) said returns were negative. From our work and conversations with many companies, we hear lots of reasons offered for lackluster results. Not enough risk-taking. Inadequate investment. A lack of digital skills. However, we also see another factor that has big negative consequences: top-management designed and optimized work routines that founder when the middle of the organization tries to implement them. It’s not surprising that top executives want to direct transformations. Many seasoned executives, trained in reengineering in the 1990s, have been involved in efforts to make their organizations run more efficiently ever since. In addition, they see artificial intelligence (AI) as an opportunity to remove labor from their operations through automation. It makes sense they would want to control work in the middle of the organization. But dictating change from the top leaves middle managers out of the decision-making process. Middle managers know better than anyone how their organizations work. And, along with their teams, they’re the people who will have the most concrete ideas for incorporating digital technologies into new workflows. Problem scoping: The importance of collaboration. Digital transformation initiatives require collaboration. For example, automating work through AI demands tightly–scoped projects and clear goals. Only top leaders (who best understand the goals) and the middle managers (who understand how the work is done at the task level) can properly define the scope. This kind of partnership is often missing in transformations. As a senior leader we worked with said, “It was impossible to get the new changes down through our company’s ‘clay layer.’” The implication was that the middle managers resisted the changes. Leading change: Empower your middle managers. In a successful digital transformation, senior executives provide guidance (including the purpose and principles of the effort), resources and protection from naysayers, all while empowering middle managers to make change happen. 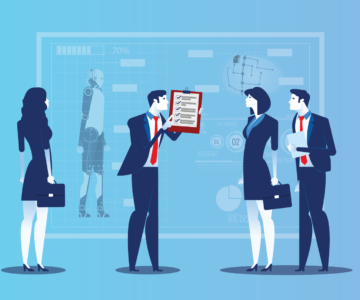 Top managers typically have a mindset that they are the ones with the needed knowledge, experience and enterprise-wide view to determine and direct workplace changes – especially the profound changes that digital technologies now allow companies to make. This model worked well in the era of cross-functional business process re-engineering; it does not fit today’s digital transformations, where tools such as AI must transform work at both the task and macro-business process levels. Consequently, it is necessary for top managers to enable change, partner with the middle managers to scope and define it, and then empower middle managers to drive it. Change cadence: Embrace continuous evolution. Many top executives have risen to their positions while undertaking major changes in response to cyclical crises, such as emergent economic or competitive threats. But in the age of disruptive digital transformation, executives should envision their organizations in a perpetual state of secular crisis. That demands continuous evolution. Today’s digital solution is one that must change and evolve continually, directed by agile, mid-level teams. Senior executives must accept that the best solutions come from collective intelligence, not the domain expertise held by an individual leading a business function. Telling a front-line team and their manager to keep improving a process taps into a wellspring of creativity and energy. It encourages them to deliver much better ideas about how to improve a key business activity. When top managers make this shift, they will delegate work-improvement decisions to mid-level teams. They will then let those teams figure out how to update the processes, rules and the roles they play. Motivating: Provide resources to engage managers and employees. Traditionally, top management has deployed a carrot-and-stick approach of rewards and penalties to get the people below them to implement the changes they decree. Typical strategies include financial rewards (pay raises, bonuses) and job uncertainty (firing people who don’t perform according to expectations). This mindset assumes that middle managers and their teams resist fundamental change and so, the thinking goes, only carrots and sticks can overcome the resistance. Rewards remain important, but carrots and sticks by themselves are not enough to inspire middle management and their teams to embrace continuous, disruptive change. .
Why? Firstly, because much of the highest-value work in the new economy is undefined and thus not open to easy measures – the benchmarks used to reward and punish. It requires creative initiative at a precise time, often by more than one individual. If that undiscovered opportunity for adding value never happens, it will not be captured by any metric. But your digital strategy will likely fail if it does not evolve at the pace the world requires. Secondly, corporate leaders are seeking to transform their companies at a time when studies show that 70% of employees are not engaged in their work. That means they are not using their individual and collective creativity to add value. 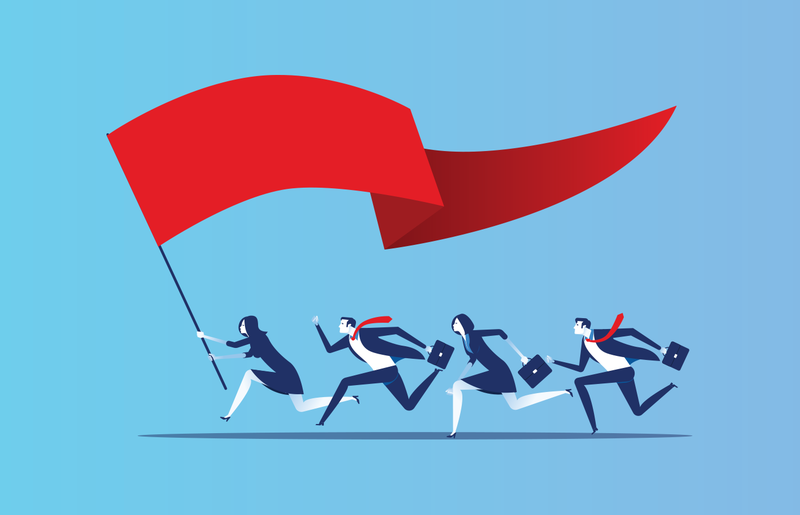 To create engaged and self-motivated middle leaders and teams, senior management must encourage them with more than external rewards. They must recognize the power of the daily reinforcements they can give their people and, just as important, the reinforcements team members can give one another. That lets team members know they are valued – an essential human need. Senior management also needs to provide middle managers and their teams a) the authority and responsibility to shape the way they do their work, and b) the tools for success: the data, technology, training and other assets they need to perform. Failing to provide these supports – and failing to let people know they are critical, individually, to organizational success, effectively neuters teams and guarantees suboptimal outcomes. It’s possible to change entrenched mindsets and behaviors to advance digital transformation initiatives but it takes more than talk. Research shows that leaders best shift how they think and act through simulations. For a digital transformation, this means playing out the new roles they must assume. One of the biggest lessons we have learned from 28 years of staging such simulations is that smart, committed, and experienced leaders might say they understand a new mindset and the behavior that they must adopt, but often behave very differently when tested in the heat of a simulation. Each leader must see his or her own gaps. This is one of the most powerful uses of behavioral simulations. Before the simulation: He espoused the value of working across functional boundaries. During the simulation, in the first round, he defended his territory with every ounce of his role’s power. The fictional company failed. Participants blamed each other. In the simulation’s second round, this executive and others experimented with different behaviors, and the fictional company had better results. After the simulation, the participants shared lessons-learned in a debriefing session. Helping leaders see their gaps and try on new mindsets and behaviors gives them personal control over their path forward. This type of learning is far more likely to stick than listening to a lecture. Research (and our experience) shows that the most effective way to get people to change is to let them make their own decisions on why and how to do so. Only when leaders shift their own mindsets and behaviors can that happen, and only when that happens will their teams – and their organizations – succeed at digital transformation. Don Jones is the founder and president of Experience It inc.